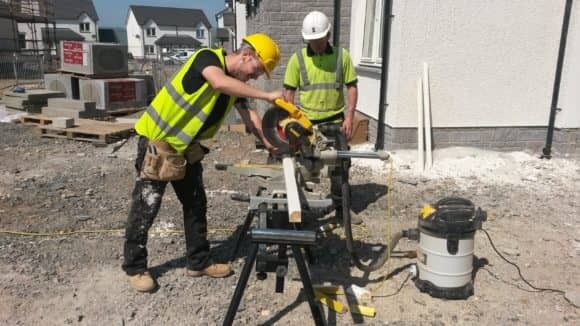 First year apprentice Jordan Telfer (17), from Perth, was the only student to represent Perth College’s first year intake of 32 students at the Scottish Association of Timber Trade Teachers (SATTT) annual competition, hosted by East Kilbride College on Saturday 14 May 2016. He also came fourth out of 16 apprentices nationwide. 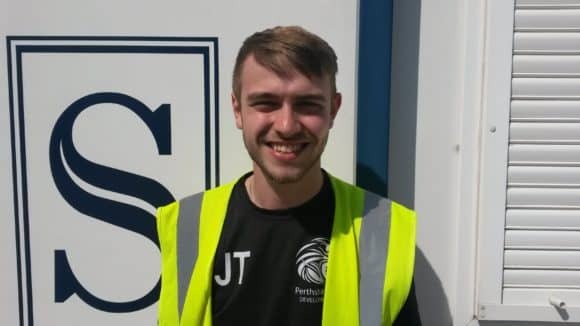 Jordan, who has been an apprentice with the firm since August 2015, also competed in the first regional heat of the Construction Industry Training Board’s (CITB) SkillBuild awards (‘New Entrant’ category). In honour of his achievements, Jordan will be awarded the Perth Branch (UCATT) Cup for Special Competence in Practical Craft Skills at a special prize-giving ceremony at Perth College on Thursday 2 June 2016. Stephen apprentices are recruited through the Construction Industry Training Board (CITB), with each term lasting four years, split between college attendance and practical experience in the workplace. There are currently four working for the company, two site-based carpenter/joiners, a bench hand joiner, and painter and decorator, with plans to recruit another two or three over the Summer.